There is nothing more exciting than bringing a new child into the world. Unfortunately, the process of labor and delivery is highly complicated and extremely unpredictable. So we have to be able to trust that our doctors and medical professionals will guide us through the process of childbirth with the highest standards of care. Doctors must be able to make split-second decisions to protect the health and safety of the newborn. Normally, this is exactly what happens. The doctors and nurses guiding women through pregnancy and delivery are generally among the best physicians in the world. Thankfully. But, in a minority of cases, physicians and other healthcare providers make mistakes with our unborn children that have fatal or life-altering consequences. If your child has suffered harm from a medical error during the birthing process, call our Maryland birth injury attorneys at 800-553-8082 or get more information about your case online. Cerebral Palsy Cerebral palsy is an umbrella term which refers to a group of related disorders in which the brain is not able to control the normal movement and coordination of the muscles in the body. Cerebral palsy is caused by damage to the developing brain during pregnancy or childbirth. 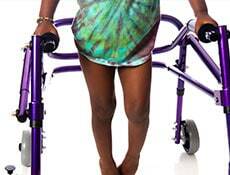 Cerebral palsy can happen in the absence of a doctor's medical negligence. But far too often cerebral palsy is caused by mistakes or medical negligence during delivery. HIE (Hypoxic-Ischemic Encephalopathy) Hypoxic ischemic encephalopathy (HIE) is an extremely harmful and potentially fatal neurologic birth injury. HIE is caused by complications or trauma during the delivery process which results in a significant interruption of blood and oxygen supply. When a baby may not be getting enough oxygen, it is an obstetrical emergency that often requires immediate delivery of the child. Otherwise, the oxygen deprivation may trigger permanent damage to brain cells, often leading to cerebral palsy, damage to the white matter in the child's brain, or other birth injuries. Failure to Order a Caesarian Section There is no medical dispute that there are situations where a C-sections becomes medically necessary. Courts have ordered women to get a C-section against their wishes in some cases. So clearly there are cases such as when the baby's heart rate drops dramatically, the cord is wrapped around the baby's neck, or there is a placental abruption where the doctors need to step in and recommend immediate surgical delivery. Any meaningful delay can change a child's life forever. Forceps Errors Sometimes, forceps are needed when the birth is not progressing as it should, often because the child is awkwardly positioned in the mother's womb. Good doctors use forceps to assist in the delivery process all of the time. But this tool has to be used with great care, or there is a great risk of injury to the mother and the child, including oxygen deprivation and brain bleeds that can lead to cerebral palsy and other birth injuries. 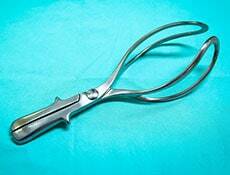 Too many doctors today do not know how to use forceps in a way to avoid injury to the mother or child. Ignoring Fetal Heart Monitor The fetal heart monitor issue comes back to the same place as most of these other errors: hypoxia. Oxygen to the brain is critical for the fetus at this stage of their lives. Critical is not a strong enough word. The medical literature is clear that certain electronic fetal monitoring patterns are suggestive of metabolic acidemia and brain damage. If there is something awry with the fetal heart rate and action is not taken, it can lead to brain damages, cerebral palsy, and a host of other problems. 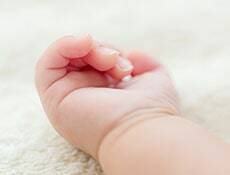 Failure to Detect Prolapsed Umbilical Cord This is when the umbilical cord is wrapped around the infant's neck or head that can stop the flow of blood and oxygen to the brain. The problems here are a failure to detect the problem and failing to perform a C-section quickly to protect the child. 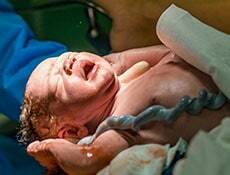 When cord prolapse is suspected, an emergency Cesarean section is usually warranted and manual attempts to relieve umbilical cord compression must be undertaken. Vacuum Errors Malpractice cases involving vacuum errors are similar to forceps errors. When there is a little trouble getting the child out of the womb, doctors should be concerned. But they can't panic. A vacuum is a fine tool but, like any tool, it has to be used properly and too many delivering doctors either do not know how to use it or use it improperly in the heat of the moment. If it is used improperly or the vacuum itself is defective, it can cause injury or death to the child. Erb's Palsy Erb's palsy is a common type of birth injury which leaves children with full or partial paralysis in one arm. Erb's palsy results from damage to the brachial plexus nerves in the shoulder which control the movement of the arm. These key nerves frequently get injured from stretching and tearing during a difficult vaginal delivery. The critical thing for obstetricians when there is trouble with delivery is to avoid excessive fundal pressure or perform a C-section. What are my Chances of Winning a Birth Injury Case? Let's start with the statistics. Nationally, plaintiffs win approximately 29% of birth injury cases at trial. Maryland, based on our experiences and looking following the verdicts in these cases, is probably higher. This might sound like a low number but, statistically, it has a high relative success rate. 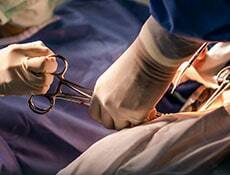 Only 21% of verdicts in all medical malpractice cases nationally end in a plaintiffs' verdict. What does this tell us about your case? Nothing. Because what is not included in these statistics is how many viable birth injury cases reach an out-of-court settlement. There is no statistical data on this. But the answer is a lot. Ultimately, most birth injury lawsuits that go to trial never should have been filed in the first place. There is a lot on the line in these cases. This usually leads to the doctor, hospital, or insurance company to settle the case before trial. So if you have a good birth injury case, it is unlikely that you will ever see the inside of a courtroom. The settlement value of individual birth injury cases can be difficult to ascertain until a lawsuit has been filed and discovery has been completed. Naturally, parents want to know what kind of compensation their child and their family can expect. Below we have gathered plaintiffs' verdicts and settlements in specific types of birth injuries cases. This will not help you ascertain the exact monetary value of your child's claim but it does give you a better idea of the potential ranges for successful claims. Birth injuries are not always the result of medical malpractice. Sometimes, bad things happen to good people. But, sometimes, far too often, a doctor's mistake caused the injuries. The stakes in birth injury cases are extremely high. There is no damage cap on the recoverable economic damages for past and future medical bills and the cost of maintaining the child for the remainder of the child's. Damages are often measured in tens of millions of dollars. Birth injury lawsuits are also very complex. It matters who you hire as your claim. You need skilled Maryland birth injury malpractice attorney to fight for you. If you want to investigate your potential claim, we will discuss your case with you at no charge so you can learn more about what you are facing. 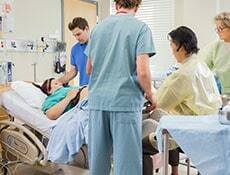 Call our Maryland birth injury malpractice lawyers at 800-553-8082 today or get a free online consultation.